Packed with information, detailed Croatia maps, beautiful cutaways and floor plans of all Croatia's major sites, this guide explores every facet that makes Croatia a must visit; from its food and culture to the gorgeous Mediterranean beaches, find Croatia's liveliest nightlife, or hike through some of the most exquisite scenery, this DK Eyewitness Travel Guide Croatia is packed with essential information, whatever your budget. This fully updated and expanded Croatia guide provides comprehensive guidance on the best things to do in Croatia; from exploring Dubrovnik, Zagreb and scores of charming towns and villages to which local wine to order with your meal. The DK Eyewitness Travel Guide Croatia provides all the insider tips every visitor to Croatia needs, with dozens of reviews for Croatian hotels, recommendations for Croatian restaurants, tips for shopping and all the best places for entertainment. 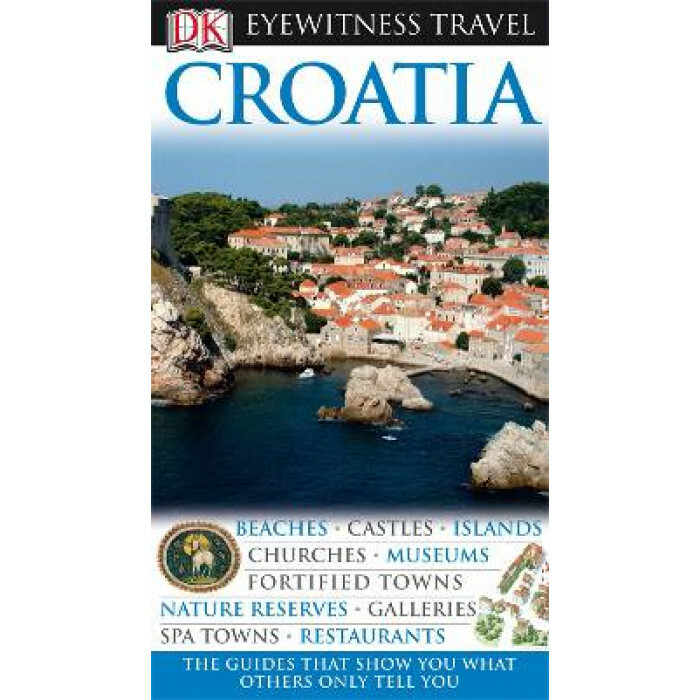 Don't miss a thing on your holiday with the DK Eyewitness Guide to Croatia.